We (Ray and the Dear Wife) have a nice European holiday and adventure followed by a transatlantic cruise for August-September 2018. We had a mid-day flight from Waco to DFW where we took the 9+ hour American Airlines flight 50 to London’s Heathrow airport arriving at 7:00 am local time. Then a British Airlines flight to the Munich airport arriving in Germany about noon local time (central Europe summer time). We found the DB train kiosk in the terminal and booked our train tickets to Berchtesgaden. It took three trains, but we arrived in Berchtesgaden at 5:00. We could see our hotel from the station but being exhausted from hauling bags up and down at each rail stop along the way to change tracks we took a taxi uphill to the hotel. 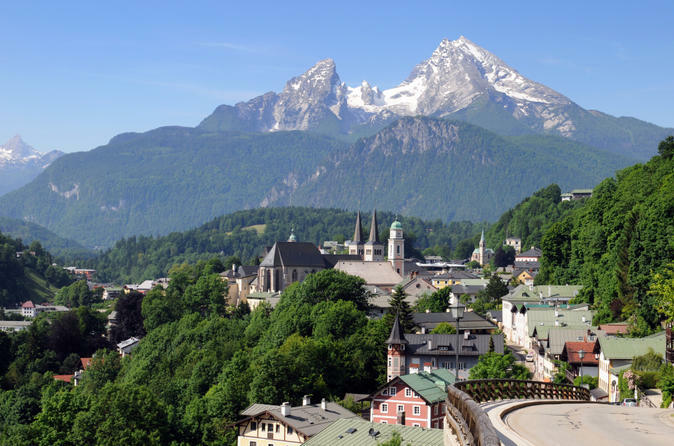 The views from Berchtesgaden of the German Alps is spectacular, perhaps the most scenic mountain village view I have ever experienced. Our room doesn’t have the view, those rooms are booking 2 years in advance, we feel fortunate to get a room here during this season. After refreshing we walked steep uphill to the old town of Berchtesgaden were we had dinner at the Golden Bear a famous local eatery. Here we did get an excellent table outdoors with a great view of the Mountains. It was so interesting seeing a number of German men on holiday wearing lederhosen and the women traditional German clothing. We are not in Texas for sure. DW ordered a local white wine and I had the featured local Wieninger beer. She ordered an Apple & Cheese Spaetzel and I ordered the Pork Schnitzel with German potatoes. The food was as good as the view: excellent, so our first meal in Europe was a success. After the great meal we walked down to the hotel and were asleep by 9:00 pm. A very long day+ ending in a great evening in Berchtesgaden. I had a very restful nights sleep. I woke about 7:00 am and logged into the hotel wifi to update news from home, check schedule, and charge iPhone. The hotel serves a wonderful breakfast consisting of various varieties of breads, cheeses, cold meats, juices, teas, cereals, fruits, and scrambled eggs, sausage balls & links, sweet oatmeal, and more. We enjoyed the wonderful view from the dining room as we ate our breakfast. We actually took the rest of the morning off to rest and I began this review. Just before noon we walked down to the Visitors Center for a 1:00 tour and arrived very early so enjoyed a coke with ice and a beer in the beer garden across the way. Our tour was of Obersalzburg and the Eagles Nest. We had a nice guide and a group of 30 most of whom were actually from Texas. It was interesting seeing the former Nazi community and residence locations of Nazi hierarchy including Hitler's Berghof. The views from the mountains are spectacular…you could even see the old Fortress in Salzburg Austria many miles away. The major site is Kehlsteinhaus or the Eagles Nest built for Hitler in the late 1930’s. You enter through a long marble lined tunnel, then take a brass elevator to the top of the mountain. The views from here were even better and the history very interesting. We were returned to Berchtesgaden about 5:45 and back at hotel by 6:00 pm. About 7:30 we walked up to the old town and saw the old Marktbrunnen, the Marktplatz including two lederhosen shoppes, and stopped at the Gasthaus Watzmann for dinner on the patio. I had a Bavarian plate with three traditional meats over sauerkraut and a bread dumpling with a Baverian flag on top. DW had an appetizer of fried cheese with cranberries and salad. It was dark as we finished dinner, but we still walked through the old Berchtesgaden cemetery. It was beautiful and about 25% of the graves had candles burning. It somewhat lit the path for us and I had never seen anything like that before today. It was a great, but tiring day in Berchtesgaden and we were in bed just after 10:00 pm. I slept fine and we were up early in order to beat the crowds at Königssee today. I enjoyed another good Hotel Bavaria breakfast this morning and we checked out and left our luggage so we would not have to rush back from our excursion. We walked down to the Berchtesgaden Hbf and took a bus the short distance to Königssee. We arrived just about 9:30 and there was no wait to purchase tickets on an awaiting boat. Great timing. 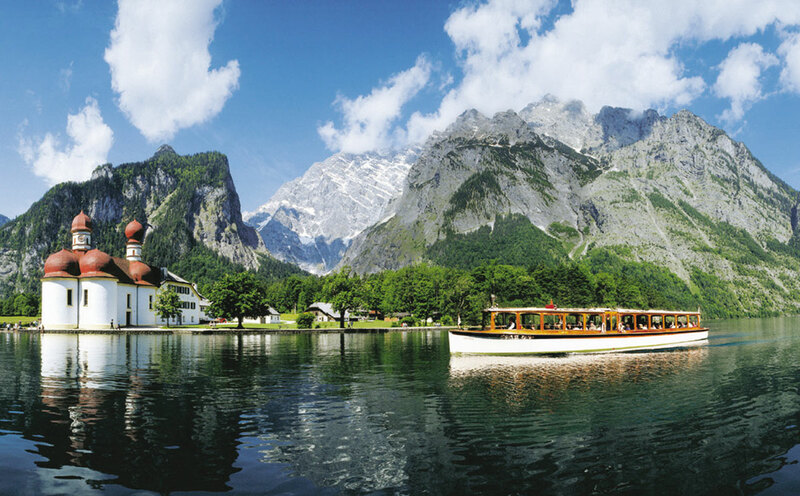 Königssee is the largest and cleanest lake in the German Alps thus only the use of electric boats. We took the boat/ferry ride of the entire scenic lake. It was very different and enjoyable. We stopped as is the tradition and the driver played a duet with the echos from the steep mountain walls on a flugelhorn. We were back at the main dock about 11:00 am and found the bus back to Berchtesgaden with ease. We walked back to the hotel and got our bags and lounged for 50 minutes before walking back to the Hbf to catch the 1:20 Bus to Salzburg. Only 45 minutes to the Salzburg Hbf by bus and our hotel was only 250 feet away from the drop off. We’ve spent a bit of time in Salzburg and have seen ALL the sights so this is basically a transit stop this trip thus the selected location, it’s only 200 feet to the Vienna train tomorrow. We decided not to go into the old town and to stay close so we took advantage of the nice hotel room to rest & relax. We did venture into the immediate area for snacks, groceries, and ice creme. We never eat at McDonalds, BUT we do take advantage of their Coca-cola fountain drinks complete with ice. McDonald’s has strict rules about the consistency of their Coke product (and some secrets) and they did not fail…they tasted great. We both took advantage of the WiFi speed and we even did some European TV before bed time this evening. A fun day. Our hotel is the H+ Hotel a European chain and as mentioned perfect location for transit next door to the train station. Good air-conditioning, simple & clean, excellent layout for luggage, large bathroom, fast WiFi, and comfortable beds. I slept very well. I went down to get our rail tickets early and I have to take back what I wrote about McDonald's, in lieu of eating breakfast at the hotel for €20 pp we had the McD Viennese Breakfast for €3.90 pp and of course a Coca-Cola. It only took 25+ minutes to purchase the tickets, use the kiosk at McD’s and back to the hotel room. That allowed us some time before our 10:08 departure on Austrian Rail. The train was nice I typed this while on it and enjoying the Austrian countryside. We arrived in Wein (Vienna) at 12:35 pm. and arrived at our hotel by taxi after a detour from wrong hotel. The Marriott Courtyard gave us an upgrade so we were pleased and the location is only a block from Schönbrunn Palace. We oriented ourselves and set our plan for Vienna adjusting somewhat for the heat…almost Texas like heat at 90º by end of day. I wanted a proper Schnitzel and being a Saturday decided to eat during the slow part of the day so we began by taking a taxi to Schnitzelwirt 52 probably the most famous Schnitzel establishment in Vienna for locals. Not touristy or fancy, but serves great food and very busy. We were able to get a table without problem at this time and I ordered my first REAL WienerSchnitzel. Schnitzelwirt 52 is to schnitzel, in the home of schnitzel, as Mary’s Cafe is to CFS in Texas. The portion size is huge (even I could not eat all of it) and it was excellent...well worth the effort to get it. After dinner we walked the 15 minutes (downhill) to the Museum District of Vienna. The enormity of the former ornate palaces and buildings in small park settings in the middle of the old town is amazing…huge now governmental spaces that now house mostly museums. We walked much of the area pacing ourselves and walked by or saw: Maria-Theresien-Platz with the huge Maria Theresa monument, Prinz Eugen - equestrian statue, Erzherzog Karl - Equestrian Statue, Die Hofburg, the Hofburg Wien, the Library with Kaisers Statue von Joseph II, and spent an hour on the Michaelerplatz on a perfect bench in the shade during the heat of the day watching carriages and people pass by us. We strolled past the old and huge Opera House and the Graban Blvd. shopping district as we made our way to the Wiener Konzerthaus. We arrived about 7:30 pm for a traditional Viennese Concert. We had front row upper box seats and enjoyed the production with full orchestra, dancers, and soloists. It was an excellent show. Afterward we made our way to the U (underground rail) and made our way to the Schönbrunn stop and then our hotel just a block away arriving about 10:30pm. It was a long and busy day. I slept very well and kind of late, until 8:15 am. Our only plans for the day is the Palace so no rush. Soon we left for the Schönbrunn Palace and it is only one long block from the hotel. We queued in line for a bit and received an entry time of 1:14 p.m. We went to the very nice Viennese Café-Residenz in Schönbrunn for proper Coca-Cola with ice and glass and I had to have some of their famous Apple Strudel. The Palace actually offers Strudel demonstrations and shows hourly from 11:00 but I didn’t wait. It was delicious and the cokes tasted great. We walked around the famous gardens, but decided against too much walking especially because it was getting hot. We went to the Patio of the Residenz to relax until tour time and I had a carafe of Residenz homemade lime&ginger lemonade and DW had a chocolate sundae. We did the Palace Grand Tour (€17.50 pp) that included 40+ rooms of the palace. 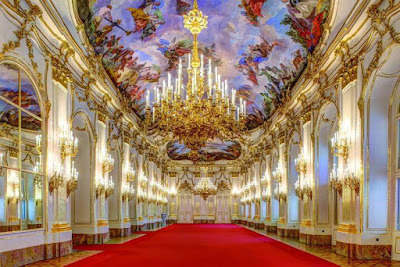 I really expected more elegance due to the success of the Hapsbergs and the Austrian-Hungarian Empire but it was a fairly standard palace by European standards (IMHO) although the main Gallery was beautiful. Still a very nice palace. I think my expectations were too high as a fan of Maria Theresa and that period. The longer tour takes about an hour. We purchased tickets for the Palace Theater show then returned to the hotel to rest and relax. So glad it is so close. We went to dinner at Restaurant Schönbrunner Stöckl located just on the Schönbrunn Palace grounds very close our hotel. DW ordered Zucchini in Tomato sauce with Quinoa, and Feta & Gorgonzola cheese, it was excellent and must be as she rarely complements food. I ordered a simple Beetroot Carpaccio entree with Arugula, Goat Cheese, Balsamic Vinegar, and fresh shaved Horseradish…it was excellent as well. We attended the Sunday evening Schoenbrunn Palace Concert in the Palace Orangery where Mozart himself performed in 1786. It was similar to last night with an Orchestra, two soloists, and two dancers. A lot of Mozart and Strauss and it was an enjoyable evening. The orchestra last night was larger (almost twice), but the soloists and dancers were better this evening. Very entertaining and just a short walk for us tonight. It was a nice Sunday taking advantage of a lot of what Schönbrunn Palace has to offer the public. I slept very well. We have a private tour service today and we went down to check out at 9:30am and our meet our driver for our 10:00 departure. He was there before we could get checked out so we were soon on our way to Bratislava. He drove a nice Škoda and it was less than an hour to our scheduled stop at Schloss Hof an 18th century Habsburg complex including a farm with restored state rooms & ornamental grounds. They had very unique historical displays and the Maria Theresa suites she lived in during her later years. After an hour and half visit we continued the short drive into Bratislava. Our driver Laslo (a local) got us as close as possible to our hotel that is located in the pedestrian only area of Old Town Bratislava. We were very glad we used the door to door service. As soon as we checked in and relaxed a bit we made our way to Bratislava's Flagship Restaurant where we enjoyed a feast of Slovakian food. I had the local Kláštorný Ležiak 11° lager beer and DW a Coca-cola. We shared a board of three Slovakian specialties: Bryndzové Halušky (potato dumplings with Bryndza sheep cheese), Pryndzové Pirohy (pirogi with Bryndza sheep cheese), and Kapustové Strapačky so Slaninkou (dumplings with cabbage & ham). In addition I had a nice Roasted homemade sausage with mustard & horseradish and DW a Homemade Potato Pancake with Bryndza. It was a wonderful meal and fairly priced, good to get away from tourist area. We walked through Bratislava's very quaint and nice medieval central square as we returned to the hotel for a nap after the big mid-day meal. We went for a walk once the temperature cooled this evening. 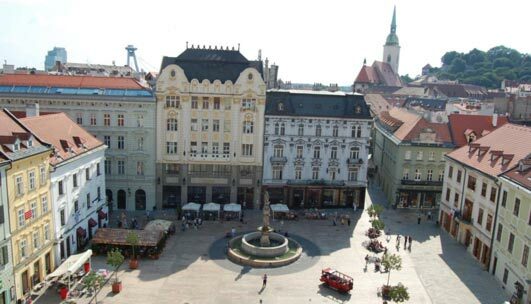 We found Hviezdoslav Square between the old town and the river that was very nice. This area would have been just outside the old walls so newer buildings and nice park fountains, and monuments. It was good to see families out. There was a lot of activity in the old town sidewalk cafes and bars…especially for a Monday night. Bratislava is a hopping place. After only an ice creme we retired for the evening to our very nice boutique hotel. We had a nice Slovakian breakfast at the hotel then went for an early walk while cool to St. Stephens Church and the Old City Hall. We finally found one of the most famous sights in the Old Town: the statue of Man at work - Čumil. We had found the other statues the previous night. We had a car service again today and met Paul at 9:30 am for our trip to Budapest. 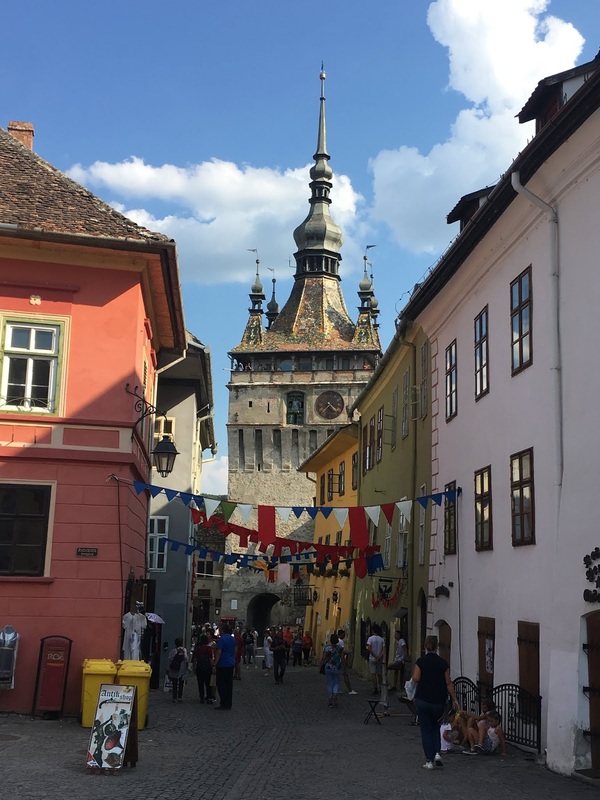 We had two stops arranged on the way, the first at the city of Győr to see their newly restored town square…truthfully not impressed, the Town Hall was more impressive. The second stop was at the Pannonhalma Archabbey located on a rural mountain top and founded as the first Hungarian Benedictine monastery in 996 by Prince Géza. The impressive thing was the old Library second only to Rome for 1000 years. It was very interesting and still a working monastery. We arrived in Budapest at the hotel at 3:00pm. Paul our driver was fantastic in getting us from door to door and the very difficult locations of both hotels. We settled into our room and as it was hot didn’t venture far the first night. I found and enjoyed some great Czech beer in a Jazz club on the Danube, but soon found it’s fairly common here. The views of Budapest are quite a thing to see especially and we are located very near the famous Chain Bridge on the Buda side. We wanted to eat Hungarian on our first night in Hungary and we found a small place near our hotel called Ildikó Konyhája (Ildikó's Kitchen). I ordered Gulyásleves kenyérrel (Hungarian Goulash Soup with bread), Natúr szűz napi raguval, burgonyával (Fillet of Pork Tenderloin with daily ragout and potatoes), and DW ordered Rántott sajt, rizs, tartár (Cheese fried in breadcrumbs with rice and tartar sauce). It was all very good. We had a beer, water, and two cokes to go and the bill was HUF6100 or about $24. We were lucky, we discovered that this restaurant is very discriminating and only allows locals and a few tourists to dine. After dinner we retired to finalize plans for Budapest. tropical, such as pears, peaches, cherries, etc. They did have scrambled eggs and a lot of breads, cheeses, cold meat, and more. We booked through the hotel a 10:00 am tour to the major sites and a taxi picked us up at 9:30 to join a small group of 14. 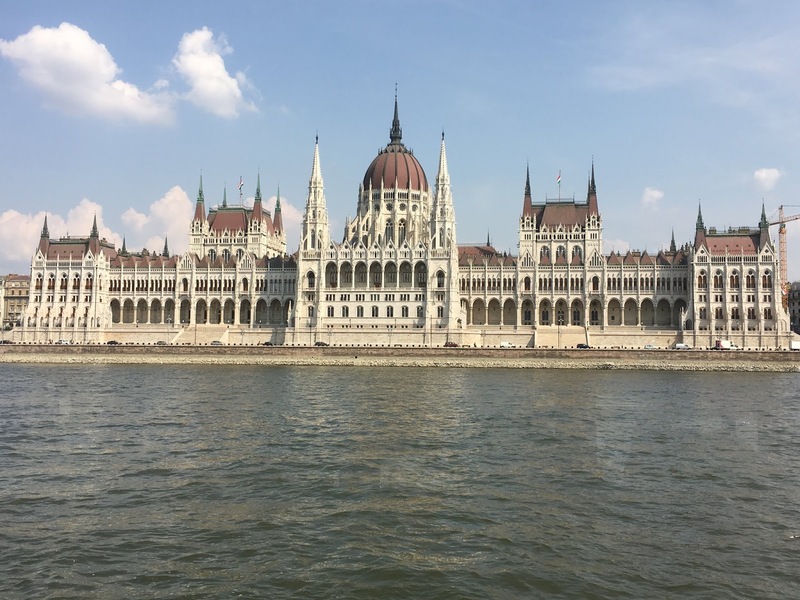 We began on the Buda side with a visit to the Citadella on Gellért hill to see the Liberty Statue and get a great view of Budapest and Danube River. Then to Buda Castle where we saw various governmental buildings and museums located on old castle grounds. They were changing the guard at the Presidents palace. We then walked through the Castle District to the beautiful 14th-century church named for King Matthias and adjacent to it the Fishermans Bastion with more wonderful views of the city and Parliament Building. 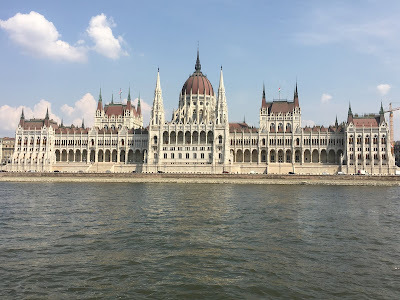 We then boarded our van for the Pest side and went to Városliget City Park the location of the 1896 Exposition and World Fair and Vajdahunyad Castle built for the event but from period Hungarian architecture through Hungarian history. Very Impressive and beautiful setting in park with lake. Just a long block from there we saw Széchenyi Thermal Bath one of the most famous of Budapest’s many thermal baths. Next we walked the two+ blocks to Heroes Square with the monuments to Hungarian heroes and Kings. The heat of the day was now upon us an fortunately that was the last of the walking (for the tour anyway) so we now drive by the other sites such as The Jewish Quarter and Shopping district. The tour dropped us off near the Parliament Building so we decided to walk there. Once we arrive we discovered all tours were sold out. 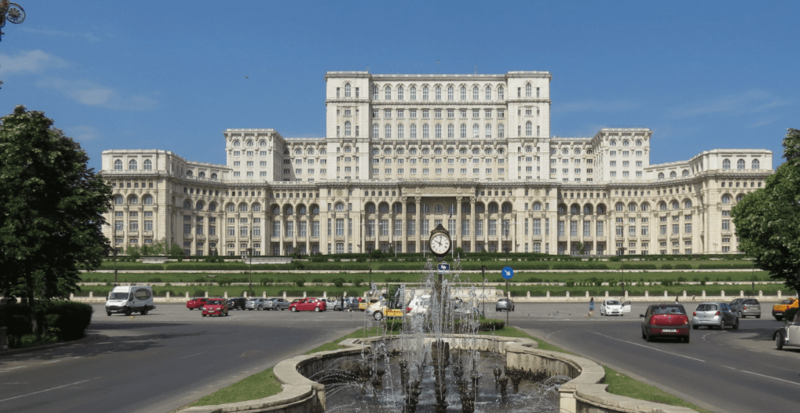 Having just been a Communist country the Hungarian citizens really wish to visit their new Parliament Building as well as the many tourists. We will visit on another trip. We did the long walk back to the Chain Bridge stopping at Raqpart a modern bar located beneath the bridge on Pest side. They had a very good Hungarian beer on draft called Soproni so we rested and enjoyed a few beers and colas before the walk across the bridge to the hotel. According to the iPhone this was a 5+ mile walking day in the heat on cobblestones and this old man felt it. We rested then decided to keep it simple and went back to Ildikó Konyhája (Ildikó's Kitchen) to eat as it’s just down from the hotel. I again ordered the Gulyásleves kenyérrel (Hungarian Goulash Soup), Marharostélyos hasábburgonyával (Roast beef with fried potatoes), and Cékla saláta (Beetroot Salad). DW ordered the Görög saláta (Greek Salad) and Chocolate Pancake (crepe). I had a large beer and DW a large Hungarian white wine. Again about HUF6200 or $22.00 a deal. It was a long and busy day in Budapest and we retired for much needed rest. love. We scheduled our day to fit taking a night train this evening so we stayed at the hotel until 11:00 am checkout time. We are staying at the Carlton Hotel and at one time it was the Ritz, but it obviously suffered during Communism and sorely needs updating. The staff was wonderful, but the facilities didn’t match. I would never stay here in the summer, the lack of proper air-conditioning is the primary flaw. We stored our bags in the luggage area and proceeded out for the day. We walked across the Chain Bridge and took the No.2 tram to the Central Market. This was an amazing place. Lot’s of Hungarian foods, Fruits, Vegetables, Meat counters, and more. Upstairs they had Hungarian crafts and linens. Lots of places to eat as well. We had a large mixed chilled fruit cup and it was the most delicious fruit ever, especially the peaches. We then took a pedestrian street viewing various shops, bars, ice creme stands, and restaurants. Very nice area and we did stop for a cold Hungarian Soproni draft beer and Coca-Cola. We also visited a Church and lit a candle. Then proceeded to the Queen Elisabeth (Sisi) Bridge where we took an hour cruise on the Danube. 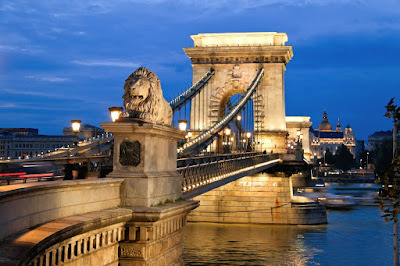 Budapest is a really beautiful city. Following the cruise we took the tram back to the Chain Bridge and crossed over to our hotel arriving at 4:00 pm exhausted from the heat. We rested for a few minutes, gathered our luggage, and the hotel called a car service for us. It was very nice and actually the coolest we had been all day in the private car (4500 HUF) to Keleti Train Station. We arrived at 5:00 pm as planned and proceeded to successfully upgrade our tickets to a Sleeper Compartment. We then went to the station Restaurant for dinner. I had very nice Filet of Pork on Hungarian vegetables. Paprika is the national spice and I have had it on every entree when in Hungary. We did split a Peach Melba as we were inspired by the fruit at the market today. We then stocked up on Coca-cola and water as there is no snack car on the train. The train originates in Budapest so we were ready to board a half hour before the 19:10 departure. 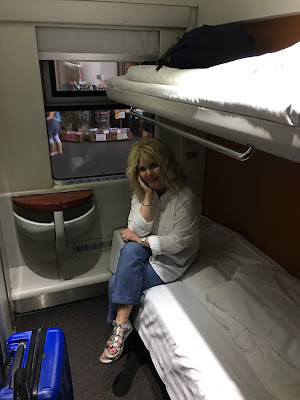 We found our sleeping car and the attendant showed us our compartment. He didn’t speak english but I got the impression that he wanted me to follow him…so I did to a compartment with it’s own toilet AND shower. I got the message and a some $ passed hands and we were upgraded again. As hot as I had been today and DW’s pickiness about WC’s it was ideal for us. First thing I did was shower and cleanup, but the best thing about the compartment was the good air-conditioning. About 10:30 pm the train stopped for customs check on the Hungary side then about 11:00pm/midnight stopped for Romanian customs. I changed my watch to Romanian time and feel good to have made Romania. It was a great day in Budapest and a successful overnight train journey. I slept well for a train, there were a lot of starts and stops and unfamiliar noises, but certainly better than just having seats for 12+ hours. It was an adventure for sure. We arrived in Brașov at 9:30 am and took a taxi ($8) to our hotel arriving about 10:00 am. We dropped our luggage and walked over to the 15th century (1470) Gothic style Biserica Neagră or Black Church for a tour ($5 for both). Catholic services were replaced with Lutheran ones during the Protestant Reformation and it has the largest bell in Romania. We then stopped for brunch on the square having nice omelettes returning to the hotel at 11:30 and checked into our very nice and very spacious room. It has a private balcony and it’s larger than our cabin on the ranch. Thanks for the early check-in Casa Wagner. We extended rest time into wash time into planning time all afternoon. I had picked a restaurant to try while here and it was the same one suggested by our taxi driver so that’s where we went for dinner. It was another amazing feast. We ate at Sergiana located where the old town meets the boulevard. We entered to a plain stairway going down and unimposing door, but once opened is a marvelously clean and decorated restaurant with staff in uniforms and tablecloth perfect. Being Friday we wanted to arrive early to get a seat and it was fine being seated right away. Our waiter spoke excellent english and we discussed that since it’s my first real night here I must have all Transylvanian. I ordered Transylvanian sour soup with smoked gammon & tarragon, Beetroot salad with horseradish, and my entree: Samale (minced meat rolls in cabbage leaves) dressed with bacon and polenta. It was a great meal. We walked around the town enjoying the pleasant weather before returning to the hotel. We decided to turn in early as we have a big excursion leaving at 8:00 am tomorrow. 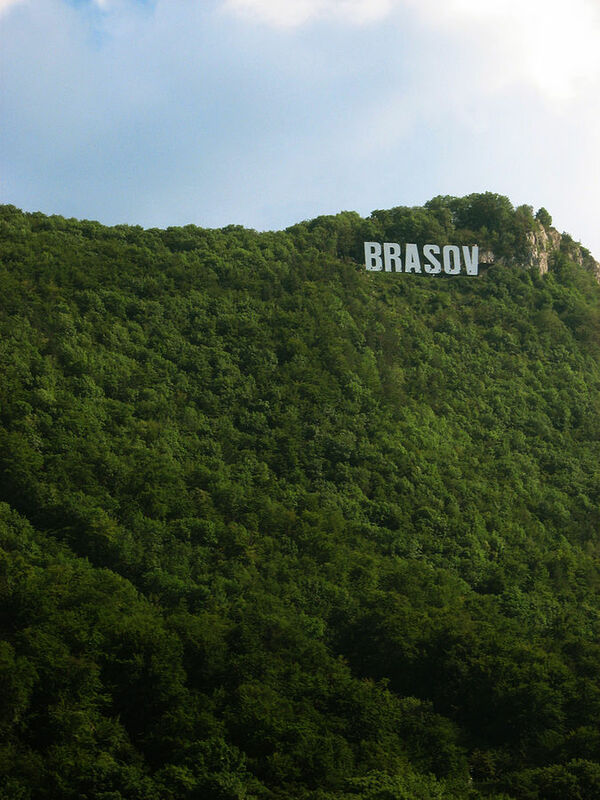 It was a very restful pleasing day in Brasov. Best sleep of the trip overnight, I like the cooler weather. I was up early with the 6:00 am church bells to prepare for our 8:00 am day-long Three Castles tour. I had breakfast in the hotel, it was interesting, but not worth €11 IMHO. We met our driver and tour guide Manuela promptly at 8:00 and we were last of four couples (Texas, Argentina, Ireland, & Estonia) on the English speaking small group tour today. We were off on the 40 minute drive to Sinaia, an interesting Carpathian Mountain resort town and Peleș Castle the most visited site in Romania. Peleș Castle is actually more of a palace than castle built between 1873 to 1914 for Romana's first monarch King Carol I. It was really a great building with great features including many firsts: electricity, elevator, vacuum system, etc. Beautiful forested grounds and gardens. A must see in Romania. We next drove through the Carpathian Mountains to Râșnov where we visited the Râșnov Fortress built as a retreat for the town citizens in case of an attack. A very interesting visit to the best preserved of this type of medieval fortresses. We were then on our way to Bran Castle or what many call Dracula’s Castle. There is a history of Vlad Dracula using the castle in military operations and now it is quite the site for tourists. The castle is unique with many passageways and levels and must be seen both for its actual history and legends. 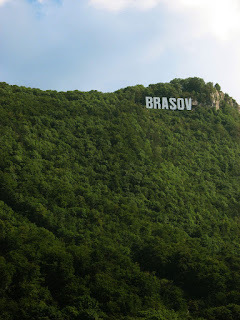 We were returned to Brașov about 4:30. Manuela our guide, an attractive local, was excellent and had connections that allowed us to park close to entry at first two stops. 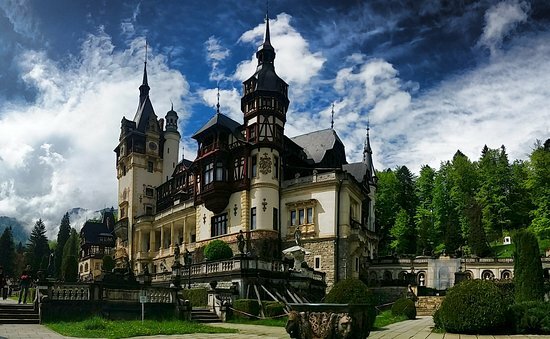 A near perfect tour that I would highly recommend...my favorite was Peleș Castle. We went for nice cold gelato before returning to the hotel to rest and allow the weather to cool. We went for dinner at La Ceaun on the Square as it was recommended. I ordered the Pork Ribs with garlic sauce and potatoes, DW ordered the Traditional mashed beans with Pickles (seriously). Both were very good, she had my garlic sauce and I ate her pickles. We bought some Coca-cola, got some ice, and returned to the hotel to repack. We are leaving two bags at hotel for our Tuesday return from Sighişoara. It was a fun day in Transylvania. I again slept very well. I was up at the 7:00 am church bells to finish repacking and get ready to meet our driver at 9:00 am. We went down to checkout about 8:30 and our driver Flavius arrived as we finished. As he brought the car around to the edge of Main Square I used the ATM next door to get ROM Lei being unsure of the layout for banks in old town Sighişoara. We were off to Sibiu about a 90+ minute drive with views of the Carpathian Mountains along the way. We walked the lovely and large pedestrian area and Town Square of Sibiu…I really enjoyed seeing the famous winking roofs of the old buildings. We had lunch on the square and enjoyed THE traditional Sibiu/Romanian food: Tochitura Sibiana Cu Mamaliguta (local Stew specialty with pork, sausages, mushrooms severed with Polenta, fried egg, & cheese). It was amazingly good. I had a Gelato as we walked back to the car. We took the road north towards Sighişoara with a stop at Valea Viilor Fortified Church, this was a huge fortified Church complex, but unfortunately we could only observe from the outside on this visit. 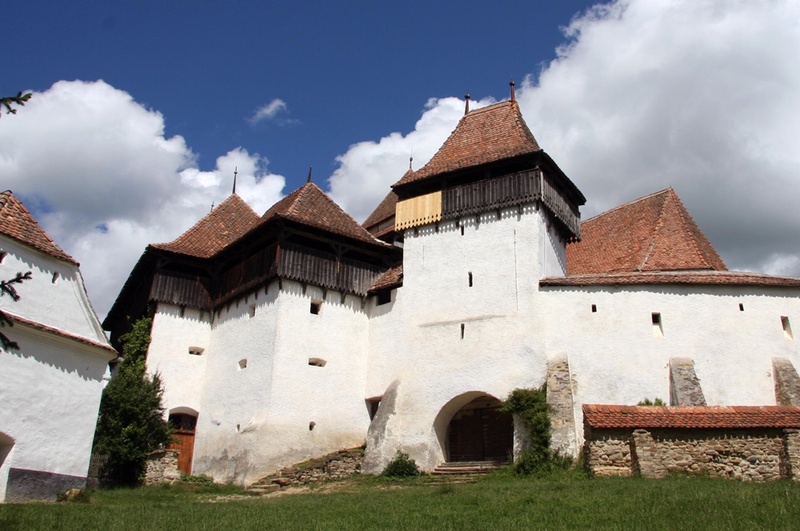 The final stop was the Biertan Fortified Church that was available to tour. The most unusual thing here was the vault room with unusually old large door locks. These fortified churches were built at the high point of the village and served as fortifications if attacked. Both of these are UNESCO sites. We arrived at Sighişoara about 4:15ish and our hotel is located in the actual old Citadel at the highest point of the town. We had to walk in as there was an active cultural festival going on the old square. Flavius was a great driver and guide and was helpful throughout the day. I really enjoy the door to door service. We did have a mix-up as I thought I had prepaid for today, but there was a delay in confirmation when we added a third stop and it didn't get done, I was so glad I made that ATM stop at the beginning of the day. Since there was a festival going on we jumped right in with the merriment. The event called Proetnica featured the various ethnic communities of Romania. There were many folk dance groups, various musical groups (including an Elvis), Gypsy groups, Religious and other cultures represented, also a featured Romanian singer for the finale. We got a table in one of the outdoor restaurants that was elevated enough to have a view of much of the events. We enjoyed a few beers, carafe of wine, and a Pizza while people watching. We eventually met Vlad (the Impaler) Tepes who was born just a few feet away in 1431. Also Elvis who later brought us an autographed mug for us, as well as many other new Romanian friends. We eventually retired to our room and listened to the finale through the open windows. We have a unique view of one the City Gates out our window… and it looks beautiful lit up at night. A fantastic evening in Sighişoara. I slept very well. I was worried that vendors breaking down exhibits or revelers from the Festival would keep us up late, but we had a thunderstorm and rain about midnight that cleared the streets. Perfect sleeping weather. I ate breakfast at the hotel, nothing special but a fair price at €6. We checked out about 10:30 and went to our new hotel: the Fronius Sighisoara. It’s the only premium boutique hotel in the citadel area and only a few rooms so we were lucky to get it for our rest day in Sighişoara. We took the early small tourist train and that showed us all we needed to see of the new town area. We went through the Biserica Mănăstirii or old Monastery Church built in the 14th century and very impressive for it’s age. We then sat on the church side-steps until noon to view the clock on the tower do it’s thing…a little man rings his bell twelve times. We then returned to our room just around the corner located in a 15th century building near the center of the citadel. The room is very nice and very large with vaulted medieval ceilings, wooden floors with repro period rugs, stylish medieval decor, great bedding & large pillows (something rare on this trip), fluffy robes, and nice modern conveniences. We went to eat a very good lunch at the Medieval Cafe hidden just around the corner on a side street. I had a Pork chop with peasant potatoes, DW had country potatoes with butter. They lieu of ketchup or sauce they served a Tomato and pepper marmalade…it was excellent. We shared a Carrot Cake their specialty (not like our carrot cake) and a Plum & Sweet Cheese pie (traditional Romanian). All this plus four Coca-colas for 60 ROM Lei ($15). After lunch (now 2:00 pm) DW walked up the covered walkway to the Church on the Hill and I went to our nice room. The plan is to rest and go back out when the tourists leave. We spent the day relaxing and taking care of some business online. Most tourists were gone by 6:00 pm. Sighişoara has one premier restaurant with a special chef so we went to Casa Georgius Krauss and Chef Florin Mihalache’s restaurant for dinner. For me it was really outstanding food. We ordered refreshing Elderflower drinks and Mineral water. I ordered Pork tenderloin in prosciutto with beetroot puree and horseradish sauce over Krass House potatoes. DW ordered Tagliatelle with mozzarella and tomatoes. I thought mine was a really good meal, DW not as impressed with her pasta (tasted smoky). They offered complementary dessert to her so we shared a Crème brûlée and the house dessert Apple pie with vanilla sauce. They were very good. This was nicest meal in Romania and the bill was 136.00 ROM Lei ($35). Very beautiful evening so we saw the major sights lit up at night on our walk back to the hotel. It was a great relaxing day in Sighişoara. This is the apex day of the holiday…beginning today we are heading back towards home. We actually have more days returning because of the cruise back, but we are generally heading back west towards home now. I slept very well. Great bed and a fan. The hotel had a nice buffet of the usual Romanian breakfast items, but cooked your eggs to order. Very nice. The Fronius Sighisoara is not only the best hotel of the trip, but in our top five of all time. 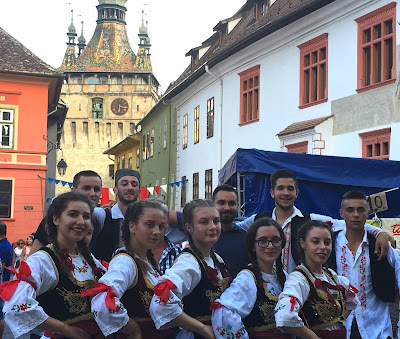 At 10:30 our daytrip driver, Răzvan, arrived and we were off on our return to Brașov with two scheduled stops. Our first stop was in Saschiz at the Fortified Church of St. Stephen, unfortunately it’s closed on Tuesdays (Tourism Dept. says Mondays), but we could see the church and more importantly the old Clock Tower. The imposing Clock Tower is almost an exact replica of the one in Sighişoara with different style clock and more of a ruin…I doubt anyone is even allowed inside. We went further and made an unscheduled stop at the Bunești Fortified Church a smaller but very unique church that reminded me of our old Norwegian Rock Church at home. Of course the Bunești church is 600+ years older but similar as it was built for early Saxon settlers. The real bonus here is a very nice German who happened to be here was a member of a group set up to preserve fortified churches. He provided a very unique history for us. From here we took a very poor side road south through Gypsy country to the UNESCO village of Viscri and the Viscri Fortified Church. It was begun in the 1200’s by Saxons brought here to protect the old border area. 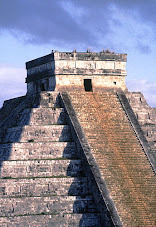 It was improved and enlarged in the XIV and XVI centuries. A lot of amazing early European history here. Following this visit we drove through the mountains to Brașov and our old hotel Casa Wagner arriving about 3:00 pm. Răzvan did a great job getting us here today. We have a nice air-conditioned room overlooking the Square. Soon they reunited us with our large bags and we were settled. We went to Sergiana again for us a late lunch although it’s a common time in Romania for lunch. I ordered--Entree: Tochitura lu' Chioru Haiducu---Pork pot roast, chicken liver, smoked sausages, egg, cottage cheese, polinta. Side: Beetroot with horseradish. It was good as I knew it would be. We walked around and then settled in to the hotel. A big 100th anniversary concert of Brașov starts tomorrow and is set up in the Square. It will be televised throughout the country and much of Europe…our window overlooks the ‘backstage’ area so we listened to some great sound checks, live tapings, and rehearsals this evening. A private advance showing. It was another great day in Romania. I slept well while it lasted, I heard the pleasant church bells at 6:00 am., but too soon afterward a very loud security alarm in the festival area went off so we were up early. We were debating taking an early or mid-day train to Bucharest so the decision was made for us. We hustled around and checked out and made the 8:40 am train to Bucuresti Nord. There was nice mountain scenery including a waterfall until we reached the plains. Good bye Transylvania. We arrived in Bucharest about 11:05 found a taxi and arrived at the Athenee Palace Bucharest about 11:30. There have been several movies either about or filmed at this hotel over the years, it was known as a ‘den of spies’ during several periods of history. After getting our bags into the room and freshening we went to Caju a nice restaurant just a few blocks from the hotel. We had cocktails and DW raved about her Pappardelle (Zucchini, candied lemons, artichokes, olives, green onions, nectarines, red onion, & Parsley) vegetables. I had a nice and unique Fish & Chips. We then took a taxi to the Bucharest Palace of Parliament for the 2:00 pm tour in English. This is the largest civilian administrative building in the world (the U.S. Pentagon is larger) that houses the Romanian government and more. They require your passport and have security screening for all who enter. Everything is built on the large scale here. It was interesting and amazing to see the interior. We taxi’d back and rested during the heat of the day. About 8:00 pm we went down to the English Bar, formally known as the American Bar until the 1930’s. The cocktails were excellent but IMHO there is no longer any panache from the ‘old’ days. However the original Columns room is very nice and has the old panache as well as vintage photographs. We had dinner reservations for Caru' cu Bere the famous restaurant popular with tourists for 9:30 pm. so we took a taxi down to Old Town and visited the Biserica Zlătari Orthodox Church before eating dinner. Caru' cu Bere has traditional Romanian food as well as entertainment and it was packed especially outside in the huge sidewalk eating area. We ate inside and enjoyed the dancers and dinner. I ordered the Tigaie ţărănească din piept de pui, file de porc, ceafă de porc, muşchiuleţ de văcuţă şi legume (Rustic pan fried chicken breast, pork fillet, pork neck, beef fillet and vegetables) actually similar to fajita meat served on a hot grill. Also Varză acră călită (Braised sour cabbage), Iahnie de fasole (Romanian bean casserole) and fresh bread. It was good. A long taxi ride back to the hotel by 11:00 pm. Taxi drivers in Romania basically will take you for a ride…I know we were overcharged when we used a taxi in Brasov and Bucharest. That was the only negative thing about Romania we have found and minor actually as the fares are still cheap. I just needed to use Uber. Most of the Romanian people are warm, charming, and very helpful to tourists. You can tell that they really love their country. It was a fun and interesting last full day in Romania. We will return to Romania if at all possible. We slept very well in our lovely room. We took advantage of the very nice breakfast in the Honors Club this morning. We prepared our flight arrangements and repacked for air transport. The hotel was very nice and we would recommend it. The concierge arranged a legit taxi to the airport and we were off about 10:45 am. arriving in time to print boarding passes at the kiosk, check our bags, go through security, then pass through Romanian customs control. We were at the gate about an hour before flight time. Perfect timing all the way. Unfortunately our KLM flight didn’t go as well…we boarded just fine, but there was an equipment problem with a fan on the pilots windows…bottom line: we waited on board the plane for two hours before we could take off. At least we did have row 16 an emergency aisle with more leg room. Finally we were off about 4:00 pm local time---Good bye Romania. They did lessen the 3 hour flight time by 30 minutes so we arrived at AMS Schiphol airport about 5:30 pm local time. We picked up our bags from baggage claim, found the train station, got tickets from kiosk, and got to Amsterdam Central station in good order. We decided to walk to the hotel even with our bags and made it in 15+ minutes…I was proud of that effort and we needed that walk…my bad knees are getting better with the touring and walking on this trip. The hotel, BestWestern Dam Square, is probably least favorite of this trip, but clean and a great location. The good news is that our good travel friends (GFs) were already here and it was great to see them. We found a great small Italian place La Zoccola del Pacioccone near the hotel and shared two pizzas, wine, and beer. All very good...I thought we were in Italy...and later discovered that although small it's a very highly rated restaurant. After a short walk we then all retired early due to travel days for both. that will be welcome after a warm/hot two weeks in central Europe. We had breakfast in the hotel and it was a typical Dutch breakfast, the only egg to be found was a boiled one. Primarily nice breads, cheeses, cold meats, and cereals. We decided to go to Haarlem for the day so we walked to the Central Station, bought return tickets, and were soon on our way. It’s only 15+ minutes by rail to Haarlem station, but it seems miles away in the difference from Amsterdam. We walked to the beautiful main City Square and drank a Heiniken before touring the The St. Bavo Church of Haarlem an art-rich towering Gothic church, home to the ornate Muller organ, played by both Handel & Mozart. We then walked to the Frans Hals Museum Gallery (€15 pp) in a 17th-century building dedicated to portrait painter Frans Hals & the Dutch Old Masters. Next it was time for lunch at Jamón Jamón Delicatessen for wonderful sandwiches. It was a fantastic lunch. We then stopped at Chocolaterie Pierre for chocolates or gelato…I had Mango. 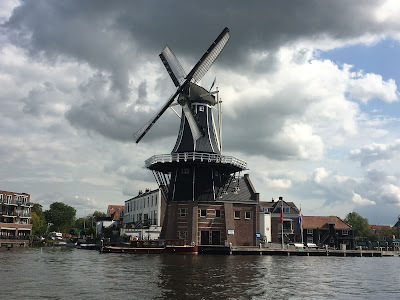 Then we made the 3:30 pm sailing on the Haarlem Canal Tour (€13pp) An hour long floating tour of great sites along the canal, the Windmill De Adriaan (1779) was my favorite site. after the tour we made our way back to the train station about 5:00 to return to Amsterdam. 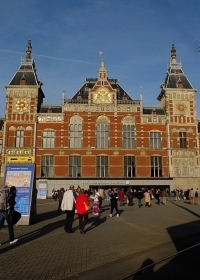 Unfortunately there was an incident at the train station in Amsterdam Central and trains were not allowed to stop. We later learned that it was a stabbing and shooting at the station. We made our way back by bus and metro so that was an hour plus adventure. But it was a beautiful, enjoyable, and wonderful day in Haarlem with friends. We set a new record for walking today at 7 miles, previous high was 5 miles in Budapest. I was a bit shocked when I saw the total, but it was cooler today and the streets of Haarlem were so beautiful and clean. After a brief rest we went out for cheese, street food, and coca-cola then retired for the night. It was a great day to be in Holland. 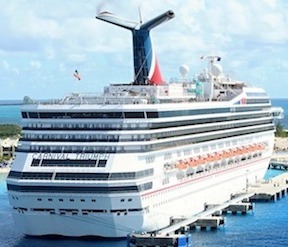 Today is the day we board the Brilliance of the Seas to begin the next portion of our adventure. That will be covered in a new Cruise Blog review.